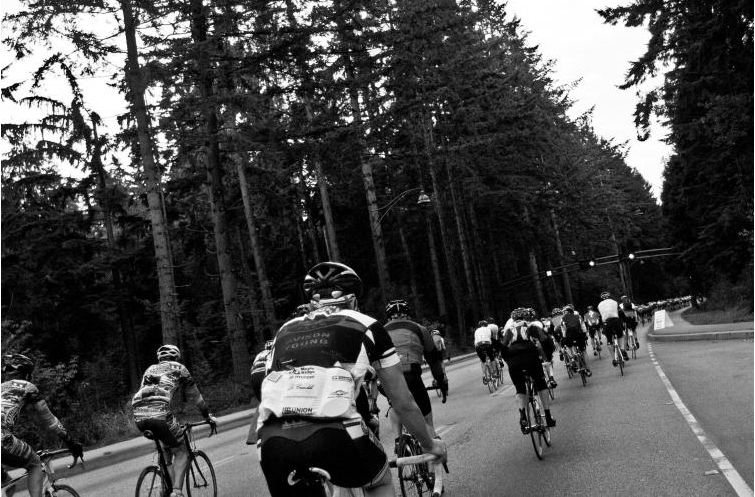 Today (Saturday August 6th 2014) marks the 5th annual GranFondo bike race to take place from Vancouver to Whistler. Gran fondo (or “big ride” as loosely translated from Italian) events have been popular in Europe for many years and have been gaining speed within North America. These mass participated cycling events often involve riding a hundred kilometers or more. Gran fondos are aimed and designed for a wide variety of cycling levels and are not races even though the top finishers are recognized. 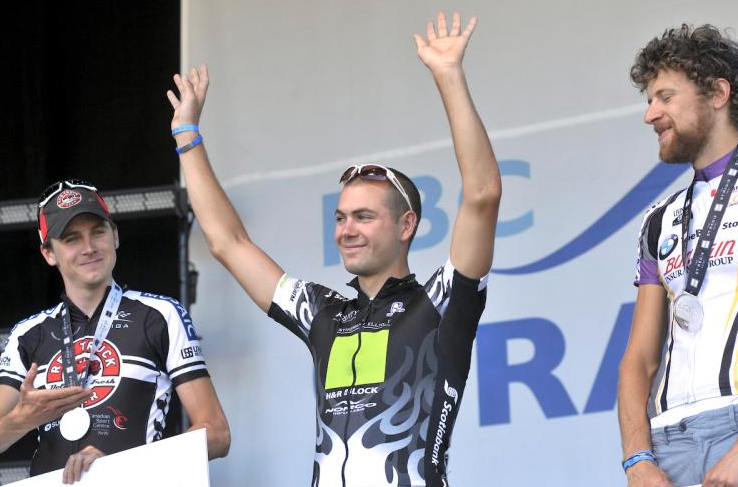 Zachery Garland being recognized as coming in first place in the 2011 GranFondo. PHOTO FROM THE GRANFONDO WHISTLER WEBSITE. Kevin Thomson and Neil McKinnon got together in 2007 with the idea of creating a world-class cycling event to be part of the legacy left behind from the Vancouver 2010 Olympic games. This vision was realized in September 2010 with the first GranFondo race in BC. 4000 people and their bikes attended this first year and made their way from downtown Vancouver to Whistler on the Sea to Sky Highway. GrandFondo participants 2010. PHOTO FROM THE GRANFONDO WHISTLER WEBSITE. 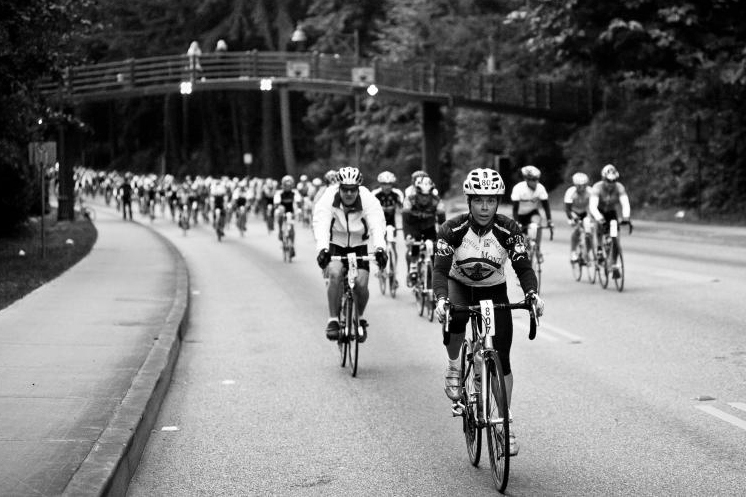 In 2011, 7000 cyclists made the trek and in 2012 the amount of people coming from all around the world grew as the Vancouver to Whistler GranFondo established itself as one of the best cycling events in North America. We wish everyone on the trek all the best. For more information click here.